"Cut The Rope" ver. 1.9 has a new Om Nom drawing (the 16th) as shown above. It can be found in Level 12-14 as shown in the screenshot below. 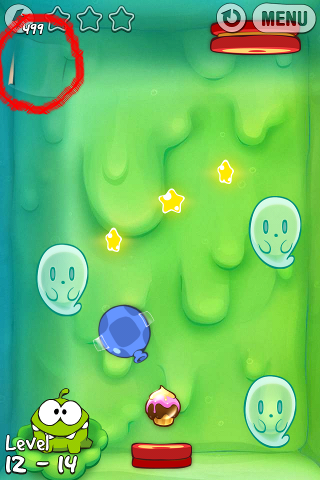 Just tap on the red circled region in this game level to get the drawing. 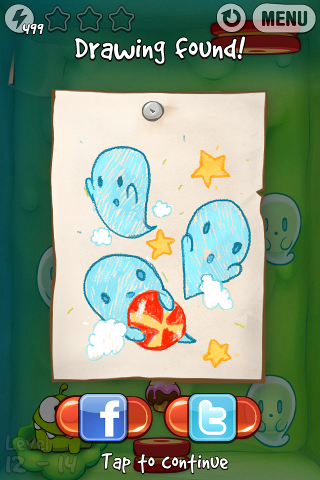 Drawing Location in Level 12-14 of "Cut The Rope"